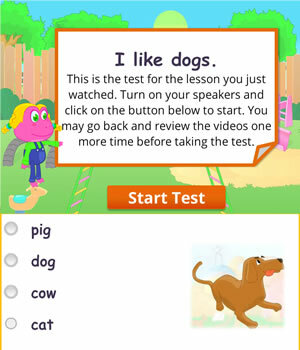 The English lesson also teaches kids how to ask and answer questions without question words – Do you like…? 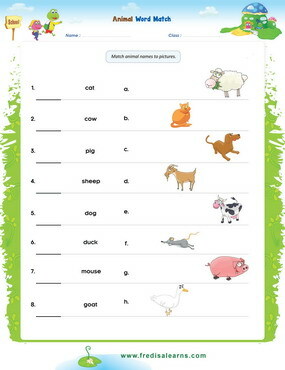 To learn more irregular plural nouns. 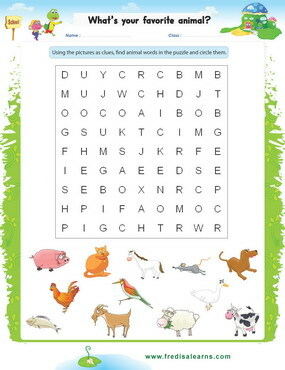 The worksheets below are useful for offline and classroom activities. 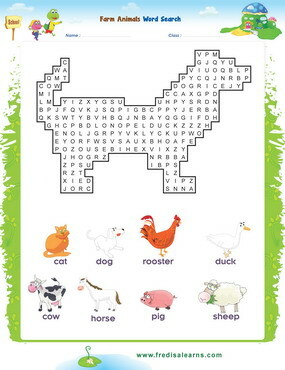 These printable exercises directly correlate with the above lesson 'Farm Animals'. 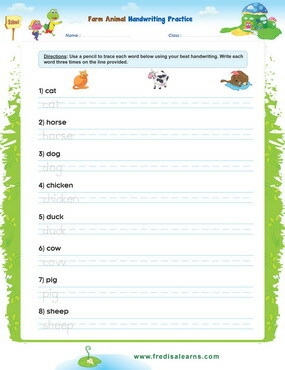 Every worksheet comes with an answer sheet on the second page for educators. Dad takes Freddie and Lisa to Uncle Joe's farm for a visit. 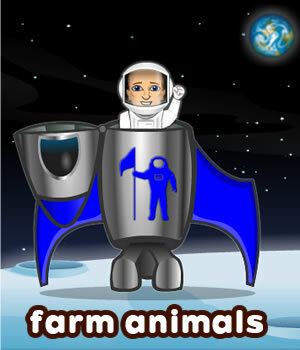 The children are excited to talk about the animals on the farm. Lisa’s adventurous nature gets her in trouble with the geese.